Motherhood Changed Me Completely, Only For Better! How Has Motherhood Changed Me ? From being footloose and carefree to being cautious and well-organized, from being confused and uncertain to being sorted and confident, from being easy-going and at times ignorant to being more informed and well-researched – motherhood changed me completely, only for better. Motherhood did not come easy to me. I had a high-risk twin pregnancy which made me undergo multiple tests, hospitalization, weekly injections, ‘n’ number of medicines – all that made me feel more like a patient and less like a pregnant woman. During those nine months, every motherly feeling of happiness came with a sigh- sigh of sciatica pain, sigh of food aversions, sigh of nervousness! At that time I kept wondering what exactly does motherhood entail, apart from the physical changes that my body underwent. It didn’t take me too long to get that answer. I soon realized that motherhood is not just a feeling that dawns upon as soon as we hold our kids for the first time. It’s more like a journey of growth and transformation that changes the entire being of a woman. Motherhood changed me at many levels. I became aware of my strengths and weeknesses. I learnt to take my responsibilities happily. Most importantly, I started to understand my life better- my priorities, my vision, my expectations from life- all became clear. It’s rightly said that we start valuing our parents all the more when we step into their shoes and face their struggles. Not that I loved or valued them any less before, but after being a mother myself I realised how it isn’t easy. I could now feel the struggles my parents faced in a more real way. All of which has made me more expressive in my love and respect for them. 2. Moved towards a healthy lifestyle. My husband and I realised that our young kids are fully dependent on us. As much as they need to be fit and healthy, we too need to be super energetic and active in order to take care of them in the best possible way. So we adopted major changes in our lifestyle. From binge eating to cautious meal planning, from packed and junk food to organic and natural choices, we have moved towards a healthy lifestyle. The initial days of motherhood brings in a lot of nervousness and confusion, which is made worse with the multiple suggestions and advices that come from all directions. For me, that phase was overwhelming. However I learnt how to follow my own heart and do what suits my situation. This confidence of knowing my instincts and doing things my way emerged stronger on becoming a mother. Motherhood familiarized me with my own abilities. 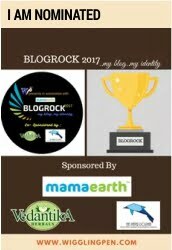 Be it my ability to breastfeed my twins non stop for 5 hours or to put them to sleep together in 5 minutes, be it my patience to deal with their growing tantrums or efficiency in managing them together along with my work and home – I derive confidence from my own powers and strengths that I never knew I had. Life with kids changes every minute. They grow up fast and their antics, their activities that we enjoy today only form our cherishable memories for tomorrow. So I now treasure and enjoy each phase, knowing that it’s temporary and won’t remian the same. I have learnt to live each moment of life fully. It’s not wrong to say that motherhood is a life-changing event. It brings along many challenges and struggles but at the end it only makes a woman capable and equipped to understand her life better. 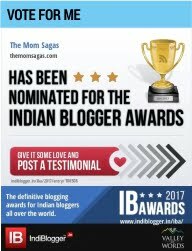 This post is a part of the blog train started by Pooja Kawatra of Mums & Babies. She has brought along 41 moms across the globe to share their story of how motherhood has changed them. Meet the 41 moms here). Pooja has also shared her own perspective on this here. I want to thank Danisha from LoveThatYouCanBuy for introducing me and I invite Alpana from MothersGurukul to board the train with me and share her views on the same. Alpana is an Indian mom in USA with two cute little angels. She is a management professional and passionate writer, who has contributed various articles for websites like Parentous, Indian Moms Connect, World Of Moms, etc. Her blog beautifully records her wonderful parenting journey with her son and daughter. Do you relate with this post ? How has motherhood changed you ? Share with us in the comments below. Motherhood is the only phase in life which is the most difficult yet brings so much good with it. Loved reading your post, I can totally connect with all the points you have mentioned. That’s great that you and hubby have changed your eating habits to be healthier! Very hard thing to do … I’m still working on it but I do sometimes eat junk food at midnight when kids are asleep. Lols! Raising twins must have been so challenging and overwhelming for you. Yet you learnt the qualities of being patient in the process . That’s quite an achievement . Glad to have connected to you in this blog train. Love all the points you highlighted here. Motherhood will surprise us with the strengths we thought we dont have. The last point is so true and very important. Sometimes we try to make things perfect that we miss to live the present moment and create memories for future. Happy to join you on this blog train. I agree that once you become a parent yourself, you start valuing your own parents way too much or rather i’d say you begin to give them the due credit for raising you. Loved your post. I agree, that motherhood changes your perspective of live so deeply. I felt all these too, you voiced my thoughts in this post. Great write up. Motherhood is tough yet rewarding. Yes I also admit that I have started giving more love and respect to my parents after becoming one myself. Lovely read!! I can relate to each and every point you mentioned. Espevially being more patient and conscious. Motherhood changes us all and it is for good. I agree that I started loving my mom more than before. Enjoyed your way of expression about motherhood. Happy to join with you on this blog train. so agree with you Charu, after a baby I have begun to respect my parents so much more. I cant imagine how they raised kids in those days with no cooks or nannies and so many other facilities that we have today. Hats off to them really. Motherhood is indeed a blessing. It is so true that we start respecting our parents after we have kids! It kind of explains what they went through when they were raising .Especially in those times when there were hardly any luxuries of diapers, cots , and many such things! I am also on the blog train and will be publishing my post on the 25th of October! Follow me at http://www.instagram.com/mmlittlee and http://www.fb.com/mmlittlee! This is such a heart warming and relatable post!